What's a picnic without an ant or two OR THREE? 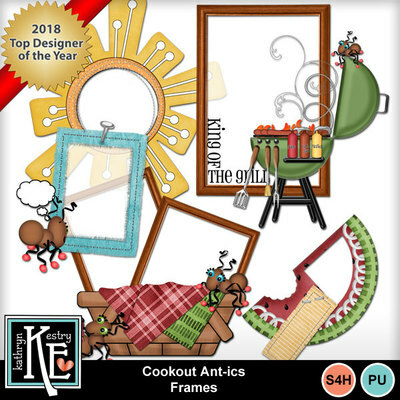 This fun cookout set has everything you need to scrap summer bar-b-ques, picnics, or just family get-togethers with some great food on the grill! The little ants make it so much fun, and they show up where you least expect them. See all of the matching sets, and save 50% with the Discount Bundle!